The show is compact (just 8 episodes) and sticks to what it is doing without losing focus. The 80s feel is superb and really takes me back while also just giving the show a feel that plays into what it is building for us. The characters are good and the plotlines are worth following – a great piece of tv! 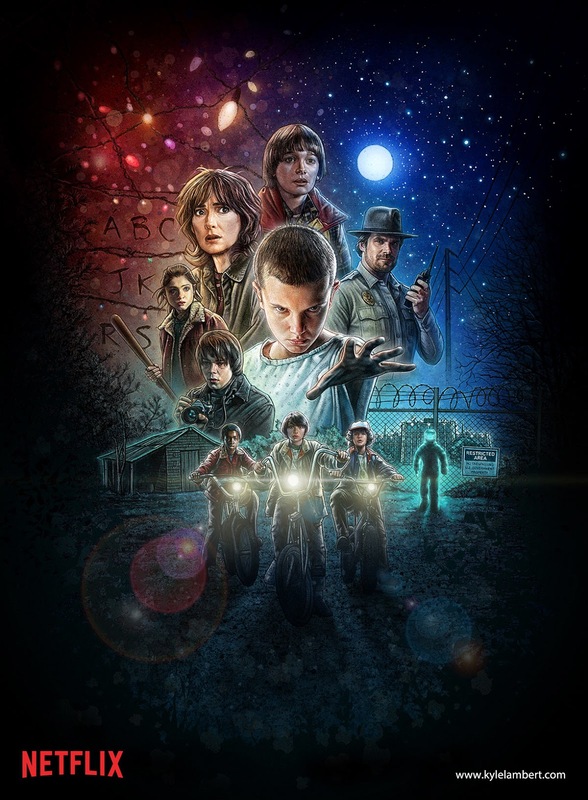 There are 80s cinematic references throughout, but one of the things I liked most was seeing the kids playing Dungeons and Dragons and even using D&D for exposition – super! Lets finish this little slice of fandom with a look at the wonderful poster by Kyle Lambert who brought this style to life with these characters. He walks us through some of the thinking and process on his Behance page – using ProCreate on his iPad Pro first then finalising everything in Photoshop at higher res.